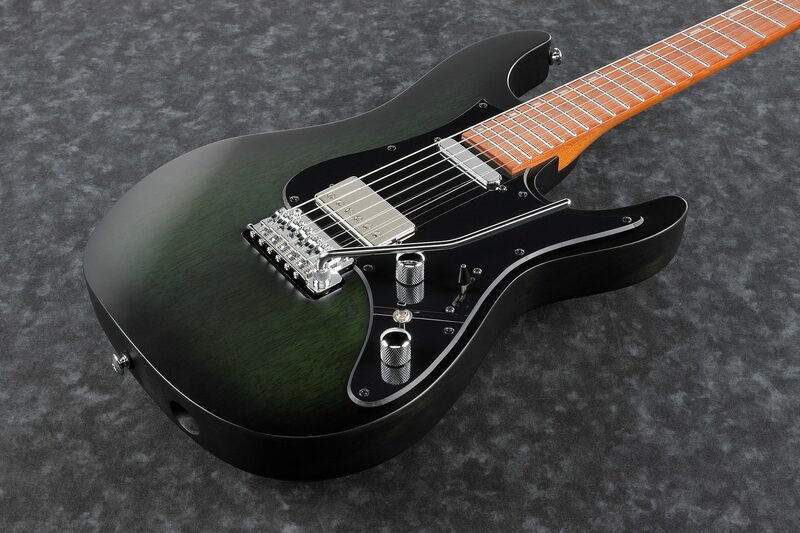 Erick Hansel, one half of the dynamic guitar duo of CHON, has been an Ibanez Artist for many years and has now worked closely with Ibanez to develop a signature model, the EHM10. The guitar is highly inspired by Ibanez AZ models, and it also features Erick's personal touches in order to make it perfectly designed for his versatile playing style. A shallow body back contour and a big forearm contour make the guitar body fit the player naturally, thus increasing playing comfort. The AZ body has a deep waist and different radii on each body edge curve, making it easier to play in both standing or sitting positions. 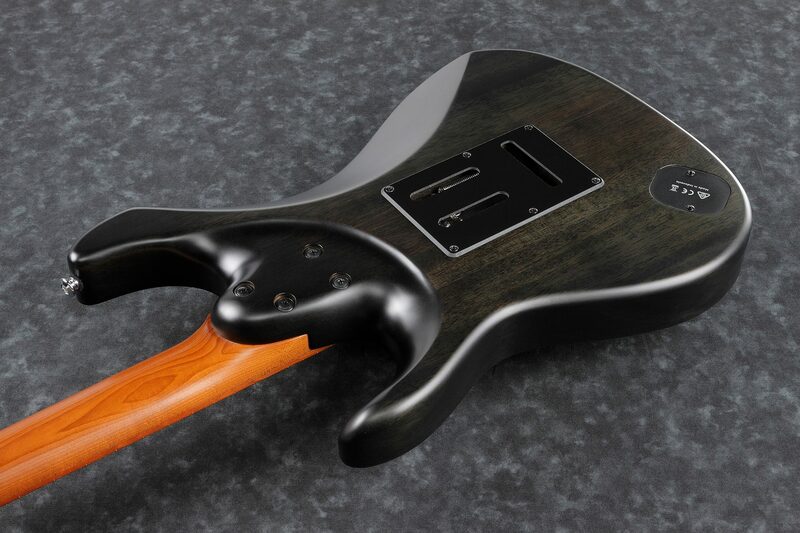 The AZ Roasted Maple neck has Heat-treatment and increases the wood's stability, durability, water resistance and tolerance of temperature changes. 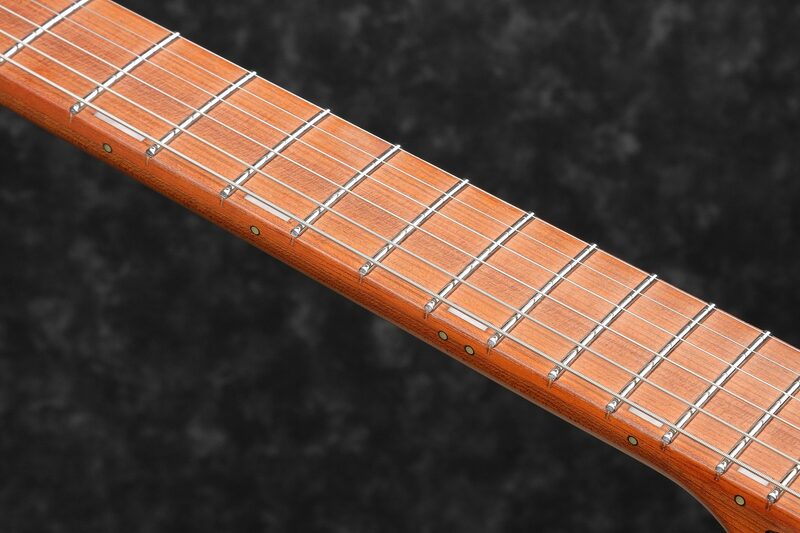 The Jatoba fretboard has a reddish brown color which produces a rich mid range with a crisp high end. 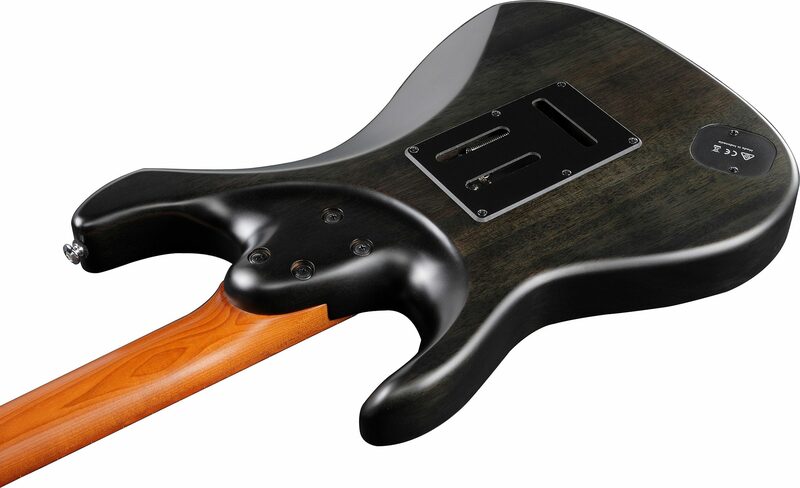 In order to achieve supreme neck grip comfort, the fretboard edge is finished with a smooth curve. The Seymour Duncan Alnico II Pro pickup uses a vintage coil wind, and sand cast alnico 2 rod magnets for a vintage sound and vibe, but with a smoky sweetness on the high end. The Seymour Duncan Hyperion Pickups feature a moderate output through Alnico-5 magnets to keep the clarity of the fundamental tone when using a distortion sound, and to deliver a clear pick attack. From treble to bass, the overall tonal balance is evenly adjusted, and works well with various effect pedals. 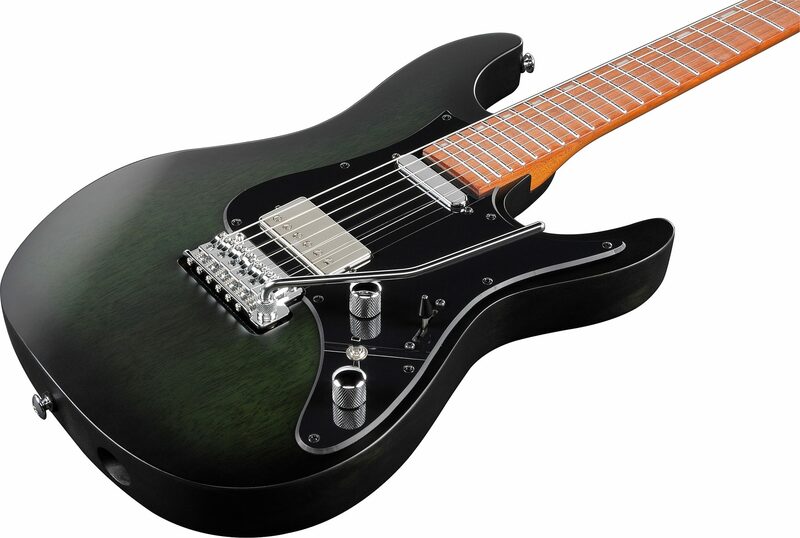 The Coil Tap Switch equipped on the neck pickup greatly assist to create variety of sound with 3way lever switch. Ibanez T1502 synchronized bridge w/Steel saddles (made by Gotoh) features steel saddles and a die-cast zinc tremolo block for a quick response and improved articulation. The 10.5mm string spacing allows for easy picking across strings. Its snap-in construction makes it easy to load a tremolo arm. Other features include Graphtech(R) TUSQ XL nut and Gotoh(R) MG-T locking machine heads. A Gig bag is included.